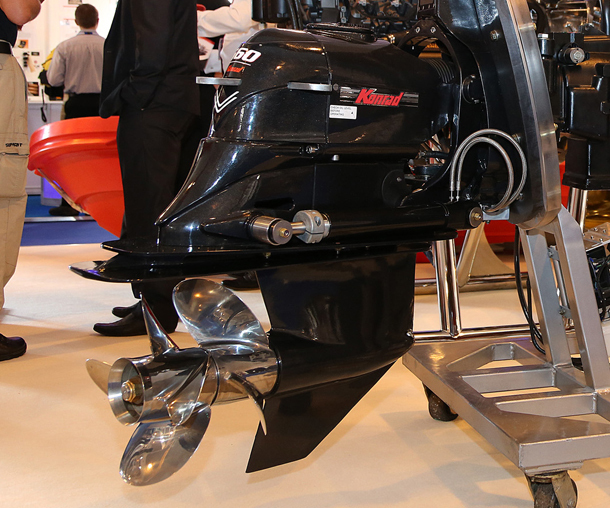 Konrad Marine designs and manufactures stern drives for commercial, military, recreational and high performance boats. Since 1991, Konrad stern drives have been hard at work worldwide, with proven reliability, strength and performance. They are the hardest working, longest lasting, toughest stern drives/out drives ever made. The Konrad 520 stern drive is a hard working drive, designed for extreme working conditions. It can handle up to 738 lb. ft. of torque in diesel or gas applications. The 520 has the power and endurance necessary for many types of working applications, such as fishing vessels, crew boats, water taxis and charters. This stern drive provides excellent propulsion in hard working, speed applications. It is the most versatile Konrad sterndrive, offered in two variations: the 540 standard and the 540 high performance. The 540 is rated up to 750 horsepower and 738 lb. ft. of torque. From patrolling to racing, this sterndrive can get the job done. This stern drive has proven to be a fantastic alternative for the obsolete MERCRUISER TRS* Sterndrive system. The 540 PRS package is a direct bolt-on replacement for the aging TRS with no hull modifications necessary. With hundreds of successful conversions on the water, it has proven to handle greater power levels with unparalleled durability and performance. Most conversions can be completed within a day’s work. This twin propeller stern drive is designed for medium performance applications and engineered to reduce stress on the gears using dual propeller technology. The specially designed lower housing contains two, one piece stainless steel propeller shafts, fitted with line protection seals. 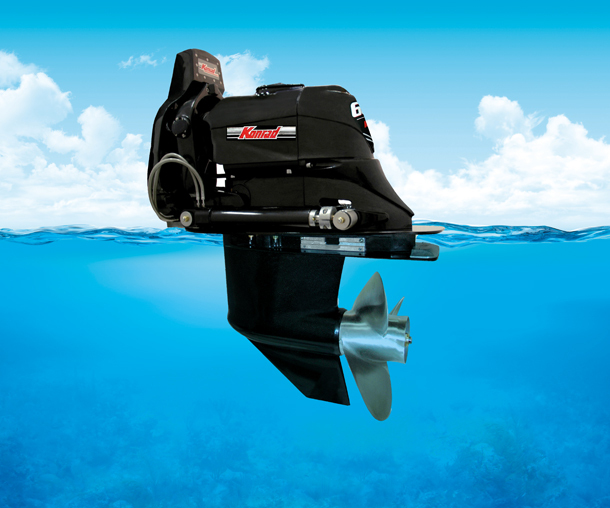 The Konrad PRSIII stern drive is the best alternative for the aging MERCRUISER Speedmaster III series* drives. It has greatly simplified the conversion process of the SSMIII, with just a few easy steps. Most conversions can be completed in a matter of just a few hours. The Konrad PRSIII conversion system is delivered as a complete kit including all necessary components to complete the installation in a trouble free manner. This stern drive is designed to provide performance boaters with a complete propulsion system for offshore vessels designed with maximum cockpit space in mind. It houses the BAM 1350 heavy duty transmission inside its extension box and is delivered complete with dual ram external hydraulic steering cylinders. Capable of exceeding the demands of the high-performance market, the Ace features state-of-the-art engineering and highest quality components. This stern drive is considered the “workhorse” of the 600 Series fleet. This drive is engineered with the largest, strongest gears in the commercial, diesel sterndrive industry. It is an extremely reliable, robust drive. Combining Konrad’s proven single 20 inch (51 cm) propeller technology with stronger shafts and gears, the 620 has set a new standard for stern drive durability. The 660 Stern Drive is a performance driven drive designed to meet your demand for speed. The 660 outdrive is optimally designed for 7 – 15 meter (21 – 50 foot) vessels, with speeds up to 60 knots (70 mph). The Model 660 is designed with dual, counter rotating propellers, and the largest and strongest gears available in the commercial, diesel sterndrive market, making it exceptionally strong as well as exceptionally fast. This stern drive is engineered with the largest, strongest gears in the sterndrive industry. It gives you efficient carrying capacities up to 7.7 metric tons (17,000 lbs.) per drive. The 680 outdrive operates with extreme efficiency in the 40 knot (46 mph) range and sports dual 20 inch, counter rotating propellers. The Model 680 is the largest and strongest commercially rated stern drive available on the market today. Proteum is the official UK & Ireland Distributor for Konrad Marine. We work with a range of clients which include boat builders, designers, operators and owners. Proteum offer a one-stop-shop for new engine sales, spare parts and servicing.